This article previously featured in The Tribune Weekend section on January 23. There are a host of movie shows on podcast sites – but this week's selection takes a sideways look at the silver screen. Some shows look at the best that cinema has to offer – but not Video Negative. No, while others surround themselves with the brightest stars in Hollywood's firmament, Video Negative rolls up its sleeves and delves into the worst that the 90s could serve up. We're talking the dregs here – Street Fighter, The Colour of Night, Showgirls, The Phantom Menace, Batman Forever... and anything starring Hulk Hogan. You've got to feel for these guys – they've dared to sit through the likes of Spice World and Super Mario Bros. It seems to have brought them quite the following, with plenty of tweets for the three hosts to read out on the show before they dive into first listening to and commenting on the trailer, then taking apart the plot – albeit wafer thin in some of these movies. 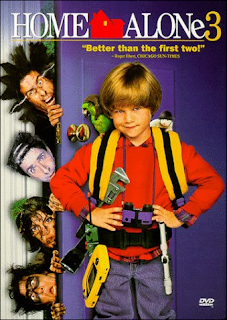 The show I tried first covered Home Alone. No, not the first one. Not even the second. We're talking Home Alone 3, by which time Macauley Culkin was long gone and seemingly any other talent with him. The glee with which the team tears apart the leaden and clumsy script is more fun than watching the movie itself – albeit with a significantly higher age rating for listeners as things get a bit sweary. It's fun to listen to and reminds me of all those years hanging out with friends, watching movies that weren't so great and ripping them apart for a laugh – so dip your toe, search through the shows and find one you hate too. It won't be hard to find one in this list of dodgy remnants of the 90s. Film Vault hosts Anderson and Bryan cover all kinds of topics – but the latest show is clearly a very personal one, inviting their wives onto the show to choose their top five movies of all time. Babies come too – so don't mind an occasional bawl in amidst the film chat if you tune in. 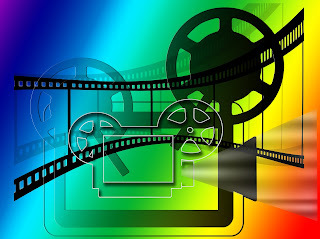 The team seems to do a lot of top five shows – top five boat movies, and top five pool movies feature recently, but handing over to guests Gillian and Christie has the hosts cringing at some of the choices, while being outright mystified by some others. 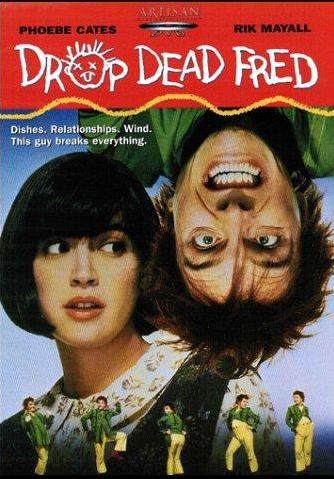 Choices such as Drop Dead Fred and My Girl crop up much to the confusion of the film buff hosts, but the debate is lively. It would have been nice if they had gotten into more detail on each movie and why it stands out, though, so the analysis is rather light – and having listened to a few of the shows, it could all do with a bit of editing to keep things a bit tighter. The shows run a bit longer than they probably need to, and ramble a bit in the content. Keeping tighter to the theme of the show and cropping out the unnecessary bits would do the show a world of good – but it's still a decent listen. If the others are a step away from your usual kind of movie show, Doug Loves Movies is all the way across town, hanging out in a favourite bar. This is a great, great podcast – it's basically a stand-up comedy show that has been recorded live, with movies at its heart in the quizzes and games that guests play with host Doug Benson, but the format is just the beginning. Picking guests with good knowledge of cinema or enough to bluff by while making people laugh, this is a real treat. The latest show – with adult language, be aware - featured guests such as Mark Normand, Mike McRae and John Erler, and a fine impersonation of Mark Wahlberg that still has me doubting it wasn't really him. There are quizzes about actors' most famous roles and their other, lesser, roles that perhaps might be best forgotten, and it's all played out by performers comfortable in keeping the crowd bubbling along. Benson also does what he calls movie interruptions – where he watches a movie but breaks into it with his own commentary. He's got one from last weekend for 50 Shades of Gray, recorded live in San Francisco. The show runs perhaps a little longer than you might expect – so not quite a lunch break listen, but great to crack a smile with at the end of your working day.